Every black belt was once a WHITE BELT that refused to give up. Our dynamic team of instructors all started as Bytomic TKD students, with their love and passion for the art of Tae Kwon Do developing into a wish to pass on what they have learned. They have all experienced, first hand, the benefits that regular training can bring and it is with honour and pride that they choose to devote their time to inspiring others to share their paths in martial arts. With over 20 years of teaching experience, our chief instructors continually develop teaching styles and techniques in accordance with modern sports science and our instructor training is continuing and constant. All instructors are fully insured, DBS checked and first aid qualified. Chief Instructor, Grading Examiner and Director of Operations at Bytomic Taekwondo. Christie has been training for over 30 years and teaching full time for over 15 years. World Silver medalist in patterns along with numerous British and English titles, Christie's high standards in the technical elements of Tae Kwon Do are carried through into the maintenance of high standards within the organisation. Teaching Highlight: Seeing a young autistic student's parents shed tears as he completed his first grading. It is a true joy to see students celebrate their achievements. Favourite Quote: "Our classes are akin to a watering hole in the desert. Many will pass by, some will stay for a while, some will stay longer but while they are with us we will nourish and feed them and set them up for their journey ahead"
Having progressed through our High Wycombe and Amersham Academies, Alex is one of our keenest competitors, winning medals at Local, National and International levels. e.g silver at the last US Open Championships in 2010. With a gymnastic background, Alex is interested in the acrobatic side of martial arts as well as the technical side and is keen to pass on his enthusiasm (understatement of the year!) for Tae Kwon Do and its benefits to all who are interested! Andrew is one of our Senior Instructors and Examiners. He is a great motivator and teaches in a manner true to his own experience as a student. Andrew has a keen interest, and has developed great experience, in the practical applications of martial arts, particularly in the area of one step and self defence. Andrew also teaches regular Bo Staff and Escrima Stick seminars for all students. Andrew is a traditional instructor with a strong emphasis on the technical aspect of the Art. Despite the transient nature of London, Andy has cultivated a club with incredibly loyal students and a great community spirit. His own enthusiasm for attending Bytomic events means that his students are also great supporters of tournament and seminars, thereby widening and enhancing their learning experience. Cliff started training over 15 years ago with his wife and four children - all of whom have attained their black belts. As a family man himself, his clubs have a great family atmosphere where each family member can train hard and yet have fun together. His classes have a great emphasis on fitness and strength and his students are not afraid of training hard! Cliff gave up being a scout leader to become an Instructor and his experience has been invaluable in helping us to run our annual Kids Camp event for 30-50 children. My favourite holiday destinations are...anywhere hot! I am covered in tattoos from my neck to my toes. Edward started training at the age of 7, inspired by seeing his godmother, Louise May do the martial art for so long and achieving her black belt. Over 13 years later he is still training and enjoying teaching the Guildford club. He gets the most satisfaction out of not only seeing his students progress into competent practitioners, but also evolving as people. His favourite thing to teach is breaking and self-defence. Ellie started training, aged 6, with her father (Richard) and older brother in 2003. She is a perfect example of how Tae Kwon Do can develop from a simple hobby into something that has a much more profound influence. Ellie made the transition from training a couple of times a week as a young child, to training almost every day as a black belt, to assisting the Instructor at Princes Risborough and now to opening her own club. A keen competitor, having taken part in a number of tournaments including Bytomic, International and National, Ellie is now excited to pass on her passion for sparring and the art. I was a Visual Arts student and I now specialise in Graphic Design. I was accepted to trial for Team GB's WTF Squad in Manchester. Live music is something that I couldn't live without. I have seen over 47 acts live across the UK and my favourite music festival is Reading. Graham is one of our full-time Senior Instructors and Examiners at Bytomic Tae Kwon Do. Many of his students have gone on to become instructors themselves - a testament to the great sense of community that Graham nurtures in his clubs. His classes are known for being friendly and fun whilst upholding all the traditional values and standards of our Art. Greatest Taekwondo achievement - seeing students come through from white belt to black belt and eventually opening their own clubs. I have raced in motor-cross races across the UK including a few beach races. Before I became an instructor I was a commentator for British Eurosport TV on motorcross events. Helen's Tae Kwon Do journey has run alongside her academic and professional career, as she started training in Oxford as a teenager, began teaching in Reading during her time as a student at the University and started our Wokingham academy while qualifying as a solicitor. Known for her highly aesthetic technical knowledge and ability, Helen is able to inspire students by example to become the best practitioners possible. Her attention to detail encourages students to set high standards for themselves, physically, mentally and technically. Outside of TKD, my interests include yoga, travelling, cooking/baking and generally trying all things foodie. Kam has trained in Tae Kwon Do, and other martial arts, for many years taking it back up again with his son and daughter (both of whom have acheived their black belts as well). Kam has gained great experience, having trained under a number of instructors, and has a traditional style, ensuring his classes reflect all the positive aspects of martial arts. He is a great all-round practitioner of Tae Kwon Do, enjoying sparring, breaking and patterns and still trains religiously with his children. Kam teaches a club in Reading affiliated to the Singh Sabha Gurdwara (Sikh Temple). It is run as a community group providing over 60 children and young adults with an opportunity to get fit and learn the moral values of our Art. I used to be able to do the Rubiks Cube in under 2 mins, but can't complete it at all now! 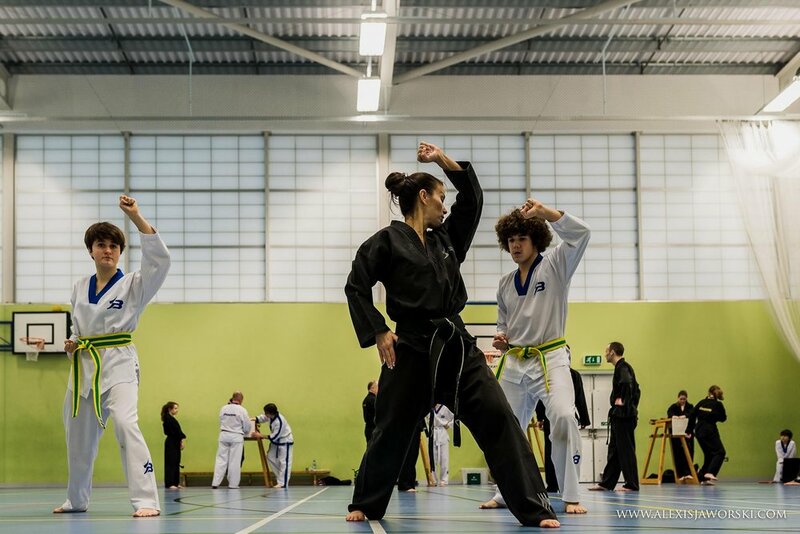 Kati started training at our Aylesbury and Princes Risborough classes with her son Charlie, daughter Matilda and husband Gerald, all of whom have achieved their Black Belts. Kati will welcome families of all ages to train with her and all students will enjoy her friendly yet traditional approach to training. Kati started assisting the instructor at Princes Risborough before running an after school club at Great Missenden Primary School and then opening our club at Great Missenden. I started my career as a graphic designer at the BBC, and then became a Post Production and Special FX Producer in Soho until 1998. Matthew started training in Tae Kwon Do as a child and the Martial Art has continued to be an influential part of his life so far. A very keen and capable student with a dedicated approach to training and teaching, he enjoys sharing his passion for all aspects of the Art with others of ages. Matthew brings a young, modern and fresh approach to his new classes in Wendover. I have recently taken up darts and worked my way up to play at County level for Buckinghamshire. I have played in a number of County matches and generally enjoy the sport for it's social factor. My Taekwondo career began when I was 7 years old and achieved my 4th Dan at the age of 19. That makes me the youngest Bytomic student to have achieved that grade. Arsenal is the best football team in the world...Mr Colgate might disagree "Come on you Gunners!" Over my Taekwondo career I have been awarded the Overall Junior Student of the year (twice), 1st, 2nd and 3rd place at Bytomic Tournaments and I have also competed at the PUMA Championships. My favourite aspects of Taekwondo are patterns and pad work. Nick started training more than 15 years ago (in his late 30s) at our Reading academy and teaches at our Winnersh Academy, which is now one of our larger clubs. He is a prime example of how Taekwondo can benefit students of all ages and is always keen to develop new skills. Nick has a friendly, attentive and professional approach to teaching and enjoys passing on knowledge and sharing the benefits of our Art - he also teaches morning Tae Kwon Do classes in local primary schools. Big “Spurs” Fan – COYS!! Comedy keeps me going too – Jim Carey in the “Mask” makes me laugh so much!! Nicola Carr started training with her son and daughter at our Hemel Hempstead. She is now a 3rd Dan black belt who regularly attends seminars, tournaments and makes as many classes as possible. Recently, Nicola has taken up the role of instructor at our Watford club and looks forward to training with you on Tuesdays. I have walked the equivalent of round the world with my dog - he is now 12 and tiring a bit! I love Christmas Pudding and buy several extra each year for big family dinners, my birthday and whenever I feel the time is right! Oran works in the Bytomic office and helps organise events, gradings and tournaments. He and Christie will be your first point of contact in the office. I have been playing in covers bands for over 6 years as a bassist. I've performed at weddings, birthdays, functions and I've also stepped in for other bands needing a bass player. All time favourite musicians: Bob Dylan, Arctic Monkeys, Tom Waits, The Libertines, Cherokee and Pulp. Paul has been teaching Taekwondo as a full-time profession since September 2001 and is a Senior Instructor and Examiner. Paul takes a keen interest in the technical aspects of the art and has a very thorough approach to his teaching. Paul values the tradition of martial arts and is passionate about Tae Kwon Do maintaining its discipline and customs. As with many of the Bytomic instructors, Paul has an active role in the community and education through self defence courses alongside his instruction. I've been teaching Taekwondo for 20 years and have seen students from all ages, abilities and walks of life progress, achieve and grow into mature adults. Richard began training with his son and daughter (Ellie) at our Princes Risborough and Aylesbury clubs and took over as Instructor of our Witney club a few years ago. Richard embodies all that a Black Belt role model should be : maintaining regular training and is always on hand to help out students and other instructors at events and tournaments. Richard is keen to pass on to others the benefits that Taekwondo has brought to him and his family and his enthusiasm and positive attitude is infectious! I enjoy teaching children and adult students, as I believe Taekwondo is for all ages and abilities. I have been an instructor since 2009 and I love passing on my knowledge and teaching at my own club. Cows - for a living I am part of the senior management team,where we design and develop products for milking cows. Sekhar started training as a teenager at our High Wycombe Academy and, like for many young adults, Tae Kwon Do helped him to gain confidence and find direction and ambition. Sekhar has high standards for himself in terms of his technical performance and knowledge of the Art and we are sure this will inspire students to better themselves within the Art, and outside, mirroring his own many achievements in gradings and tournaments. 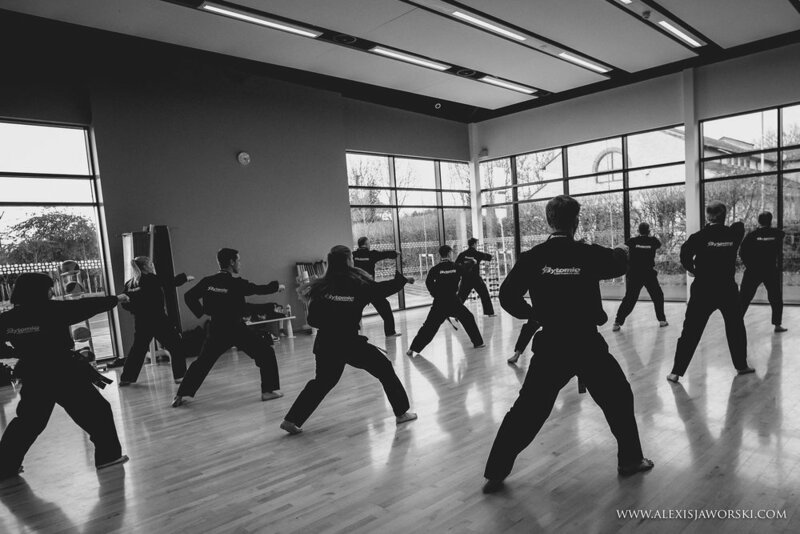 Simon started training in his late 30’s after his son started training with BTKD at the Winnersh academy. Simon got bored watching him and wanted to join in which he did and the rest is history! Both Simon and his son Toby are now 2nd Dan Black Belts and train at Winnersh. Simon works shift in London but tries to train as much as he can during the week even when he gets up at 3:30am to go to work. When not working or training Simon enjoys experimental cooking, watching documentaries’ on TV, especially nature and wildlife, spending time with his children and his favourite hobby of sleeping! Simon enjoys the technical side of TKD and really gets enjoyment from seeing students get to grips with a new pattern or understanding particular move. Favourite foods – Steak & Chips, Cheese, Crisps and Tomatoes. Had more operations & medical procedures than he cares to mention but if you’ve got a spare few hours I’m sure he will tell you all about them!